Born in 2003 in a sport loving family, Farkhonda Attayee is one of the sportswomen in I.T.F Taekwondo, holder of Black Belt-3 International from world I.T.F Federation. She is student of 11th grade and a champion in 45 kg weight. 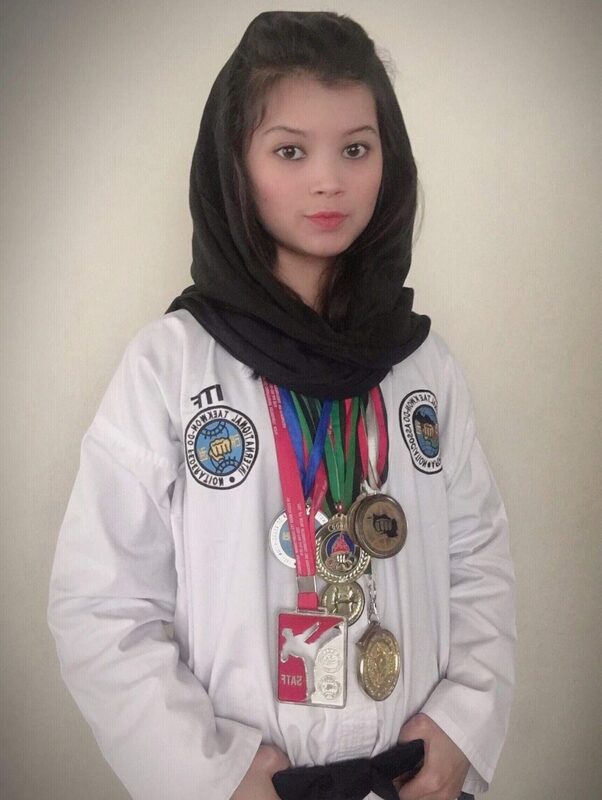 In an interview with The Kabul Times sport correspondent she said, due to personal interest and enthusiasm to sport, four years earlier I started Taekwondo professionally and in 2015 I gained membership of National Team. My achievements include four gold and two silver medals. I received one silver medal in a competition in Nepal. Talking on mystery of her success in sport, she said, my family encouragement and support removed all problems ahead and made me self-reliant. I continued exercises in cold and hot weather. My goal was to become champion among foreign countries and bring prides to my country’s sport community and ultimately I achieved my goal. Touching challenges ahead of girls sport and exercise she said, despite of importance of girls sport, shortage of resources, lack of proper exercise grounds and sport gymnasiums are biggest challenges ahead of females sport. Our females fighting at close quarters with challenges and enthusiastically continue exercises and their activities and their foreign achievements in the field of sport is considerable. Pointing out the role of females sport in society, she went on to say, sport has been recognized as an essential factor for physical and mental health of mankind and a need for both sexes. Sport offers a lot of help for females psychological pleasure and performing of their role as mother and bringing up of their children. Sending her message, she said, sport leaves behind positive impacts on formation of mankind social personality and rescue us from individualism and arrogance.